The world is changing and people are beginning to look at sustaining the environment in which we live. Including myself, I too are looking at ways to change my daily habits (e.g. reducing purchasing goods in plastic) to make sure our planet has a bright future. One of these include making homemade plant-based mylks. 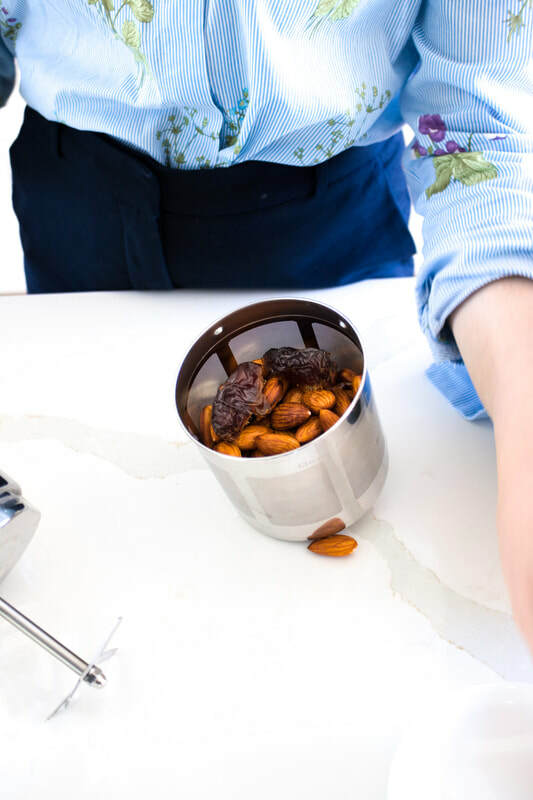 When Almond Cow reached out to me with their product, I was instantly a fan. Previously I was using the traditional nut-mylk bag, which worked well, but the process was long with many different containers to wash up. 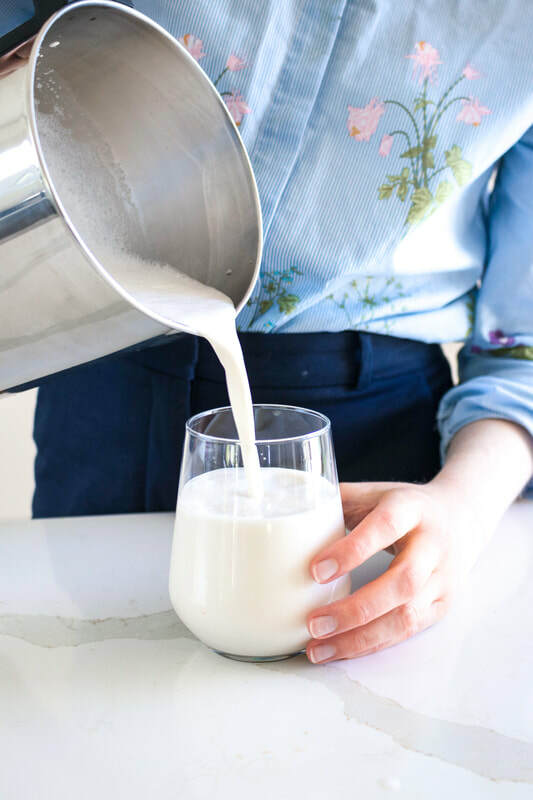 When using the Almond Cow it's easy, fast, with minimal wash up and plant-based mylk's that are creamy deliciousness! 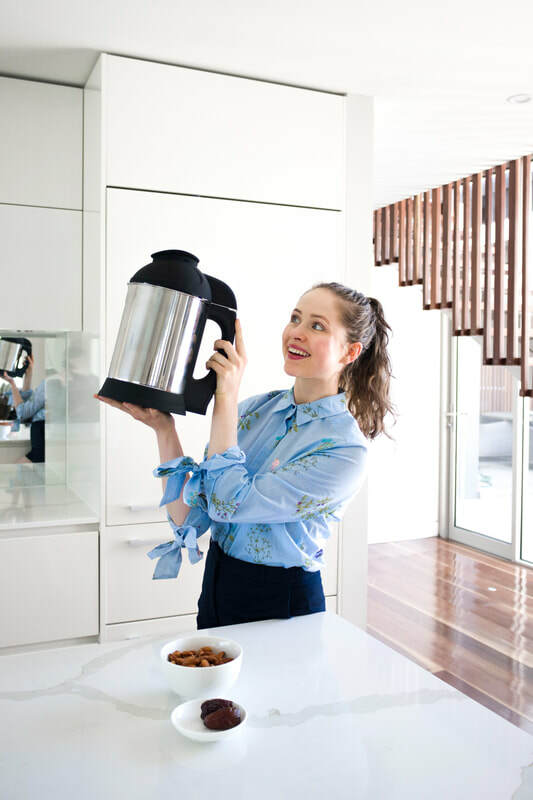 Now, I'm proud to be an ambassador of Almond Cow and have a discount code to receive $15USD off your order (and free shipping for the US). Simply use my code BALLERINABITES at checkout. United States, Australia, Europe & United Kingdom. 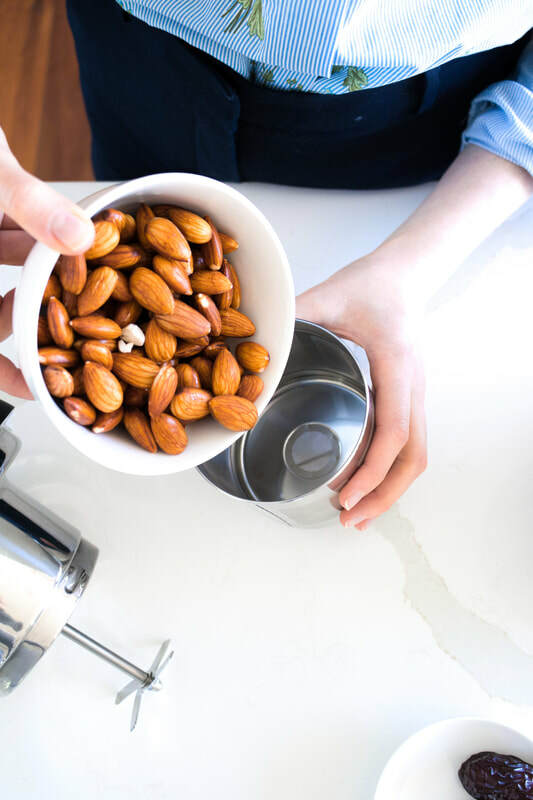 Step 1:​ Soak 1 cup almonds overnight and drain and rinse the following morning. 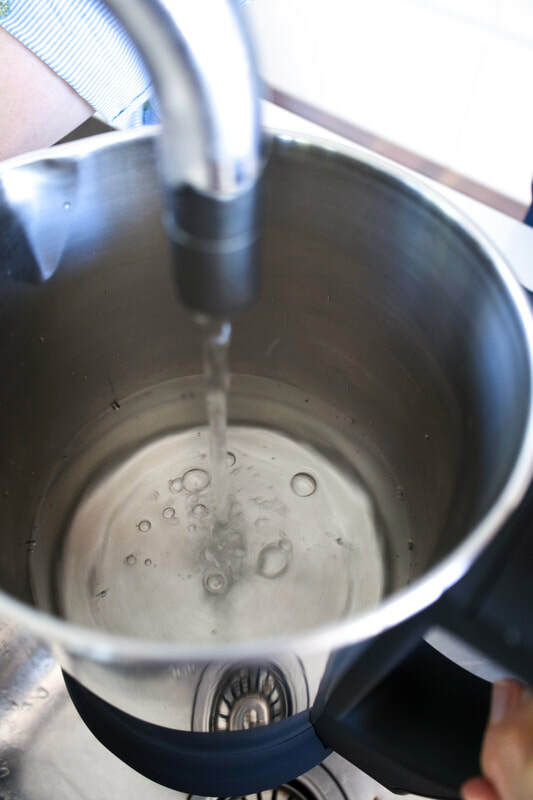 Step 4: Fill the Almond Cow jug with filtered water to the min/max line. Step 2: Add almonds to the basket. Step 5 & 6: Screw the basket onto the lid and connect to the base. Press the almond cow logo button on the top (making sure it’s connected to a power outlet). Step 3: Add 2 pitted medjool dates and a pinch of salt if you wish. Step 7: And... that’s it!! 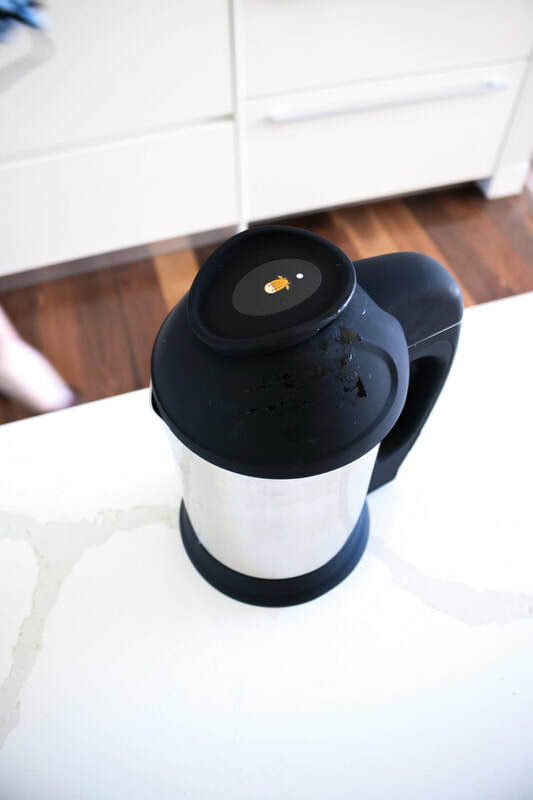 Pour into a class and enjoy straight away or store in an airtight jug for up to four days. 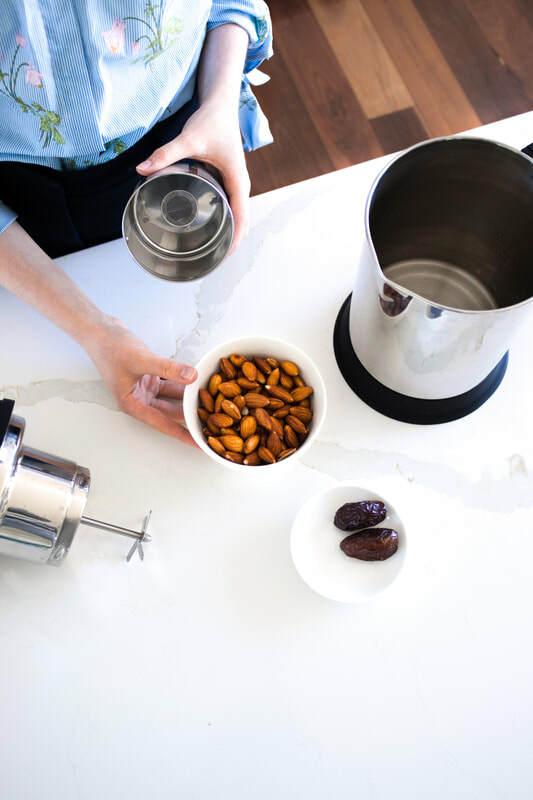 To save leftover nut mylk pulp, allow pulp to drain in the basket, so no excess liquid remains. You can alternatively pass it through a sieve. Store in an airtight container (in the fridge) to be used over the next few days or freeze for a later date.